When we talk about transitions, we mean the period of time from the end of one activity or event, to the beginning of the next. For example, a transition starts when one finishes eating breakfast, and ends when a child starts the next activity, which may be getting dressed for the day. For some special needs children and for many toddlers, transitions can be anxiety producing and disturbing. Unfortunately they happen frequently, throughout the day, every day. This can be baffling to the parent/teacher/guardian, who carefully constructs routines and schedules designed to meet needs, yet still encounters emotional meltdowns, behavioral outbursts, etc. and can't understand what went wrong. Although every child is unique, there are a few common themes that emerge when considering why children struggle with transitions. Anxiety is a major one. At times, the root of the anxiety can be based on what is coming next. The next event in the schedule is so highly anticipated that the child is unable to contain his or her enthusiasm and/or follow expected rules for behavior. A second possibility is simpler; the behavioral issues come from the child's unwillingness to end the current activity, knowing that something less enjoyable is coming next. A more subtle component of that kind of "stubbornness", especially in children with autism and ADHD, is the difficulty in "task-switching" that occurs due to problems with brain functioning. Although the exact mechanism isn't clear, individuals with autism or ADHD are less able to move from one activity to the next in general, a process that happens mostly in the prefrontal cortex of the brain. If the child is verbal, he or she might not "feel" ready to finish whatever they are doing and move on the the next activity. 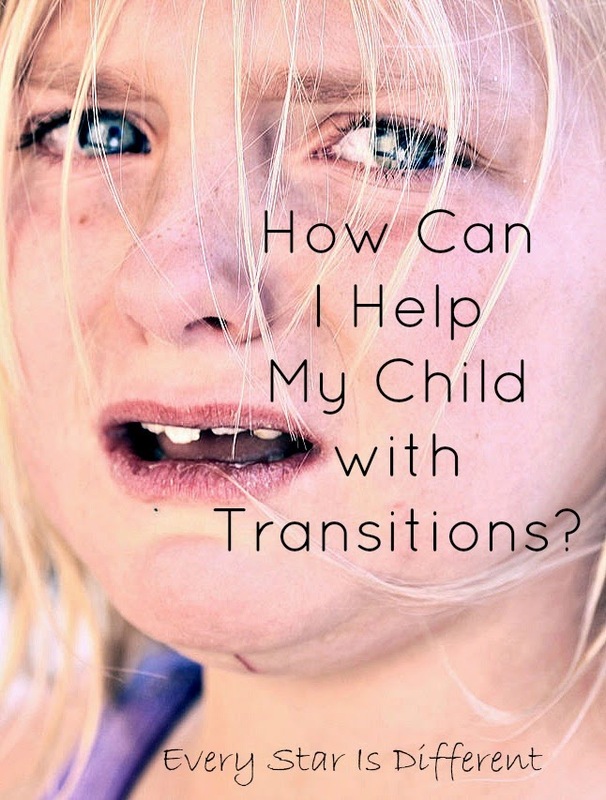 As a result, children with ADHD or autism can become very frustrated around transitions, or just choose not to transition until they are ready, no matter what you do. (The article in this link is focused on technology and ADHD, but it explains the brain functioning issues I mentioned here: http://www.2machines.com/articles/181304.html.) Finally, in a busy house, a child can become overwhelmed by the commotion and activity level during a transition time. While the family is preparing to pack everyone up to get to an appointment or activity, the chaos level and lack of structure can lead a child to feel disoriented or uncomfortable. This can also occur during clean up time etc. Personally, I can relate to the anxiety, inability to switch tasks easily, and the sensory overload that comes with some kinds of transitions. I feel more anxious and edgy around transition times, due to the increased volume and activity level in the house, especially if we are preparing to go somewhere outside the house or if we have guests coming. As you can see, problems with transitions can stay with you after childhood. Besides sensory issues and other special needs, there is a second major category of people who struggle with transition: toddlers. Several parents of toddlers report issues with transition as a main concern. When considering our 18-36 month old friends, it would be wise to remember what researchers have taught about child development. In particular, Erik Erikson's work is useful. He defined each developmental stage as a basic conflict, each of which needs to be successfully negotiated in order to achieve "normal" development. (This article: http://www.simplypsychology.org/Erik-Erikson.html has a good summary of Erikson's stages of development). The basic conflict for the toddler years is called "autonomy vs. shame and doubt". Basically, a toddler's main challenge is to discover what is within his/her control and what isn't, in order to see what he/she can and cannot do for himself. So, if Erikson was right, transitions represent a threat to the toddler's sense of autonomy. The child simply might not like being told what to do and when to do it. This striving for independence is not only normal, but one of the basic tasks that the child needs to master in order to develop successfully and confidently through the later stages. While striving for independence and telling mommy "no" are normal events, it's still no fun to deal with a toddler tantrums It is also no fun dealing with difficult transitions with your special needs child. So, what can you do? As stated earlier,consistency from day to day in the child's routine and schedule can help. The more things stay the same from day to day, transitions are expected and predictable. With kids older than three, a picture schedule or written schedule can be posted in the house and updated every day. You can alternate less enjoyable activities with more enjoyable ones, in an effort to reduce anxiety about the day's events and to provide an automatic incentive/reinforcer for good behavior during the less-enjoyable times. Also, a simple countdown can aid a child who struggles with switching tasks (i.e. "five more minutes of TV time, then it's time to go to bed. "), so that the activity doesn't end abruptly and allows the child's brain more time to make the adjustment. Simple and instant positive reinforcers for calm compliance with parental expectations during transitions are always recommended, and should ease some of the anxiety around moving from one activity to the next with time. To help with sensory sensitivities, try to minimize sensory inputs. If a child struggles with transitioning to dinner time because of the volume level in the house, turning off the music/tv/computer can relax the child and make the situation easier to manage. When there are anxiety issues, consider ways to prepare ahead of time and slow down the transition. Pick out clothes ahead of time and provide extra time to "get shoes on and get dressed", when getting ready to go out. Finally, always monitor the verbal and non-verbal signals you are sending as a parent to the child. This may be especially helpful when you know how the child usually reacts when you announce "bath time" etc. Calming yourself and anticipating the wave of emotions that will surely come, not only helps you to manage your reactions to the child, but it provides good social modeling for the child to follow. You know the difficulties are coming, and as an adult, you can manage your emotions and choose your response. Your child may not be able to do this yet. Jason has a master's degree in Marriage and Family Counseling. He has spent the last eight years working as a therapist to adults and children, in a private and group counseling sessions, and in residential facilities. At home, Jason has four plus years experience as a foster parent with his wife, caring for children ages newborn to eighteen years of age with multiple special needs. He is also a parent to four special needs children, two biological, and two adopted, with diagnoses of autism, ADHD, RAD, PTSD, Fetal Alcohol Syndrome of Effect, anxieties, and sleep disorders. 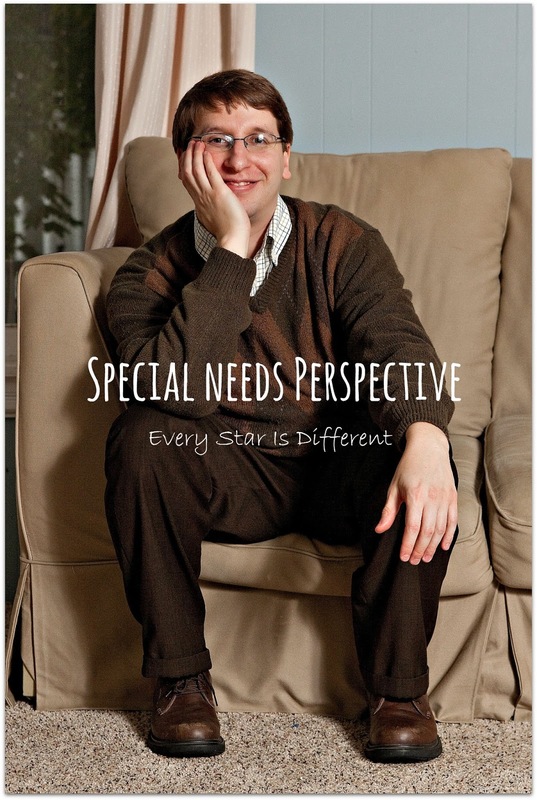 Within the last year, Jason was diagnosed with Autism Spectrum Disorder, ADHD and Anxiety Disorder NOS. Well said and all true but easier said than done . I like what you say about " managing your reaction to the child " .You almost need to distance yourself and act more calculated . So true. Trying not to take the child's resistance personally makes all the difference. Thanks for sharing. The counseling can take many different approaches, most any will help, but the biggest thing to remember is managing the child's environment consistently, so it's easier to tell where things break down. Keep up the good work! This is great. I also find that keeping that communication open is key. When that is done, both parent and child can come up with creative solutions. Agreed. The issue that is causing the problems is so often something we (as adults) would have never considered. Great point. I'm not sure if the list helped with the predictability or the autonomy, but whatever it was smoothed things over quite a lot. (Here from the Family Fun Friday linkup). The picture schedule can be a double-edged sword for some of the more anxious kids (what if things don't go as planned?) but in general, it's great exactly because it fill the kids' need for predictability AND autonomy. Glad its working for you. Great tips lovely and I will definitely take them into account as my family always goes through changes.